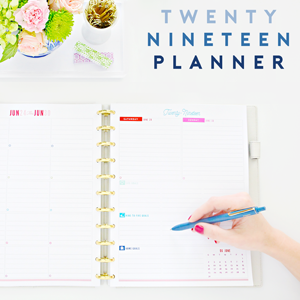 I get asked so very often, how to organize on a budget. And although the act of starting, sorting, purging, assessing, donating, etc... is something that is done at no cost, when it comes time to find storage for the remaining items, it can become quite costly. Or, it becomes a challenge to find exactly what it is you are looking for. 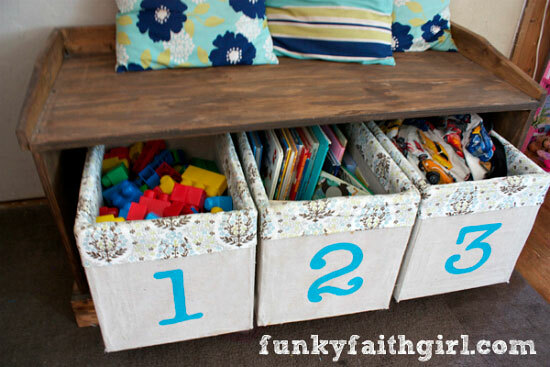 Today's reader is inspiring, because she uses her handy dandy skills, to make her own storage. 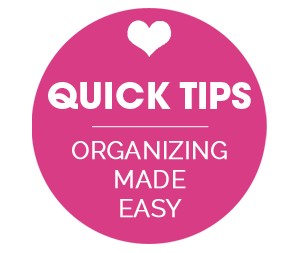 Customized and affordable, those are two things that are major wins in the organizing world! I decided that I needed some larger organizing bins for my living room to hold several things from toys to blankets. 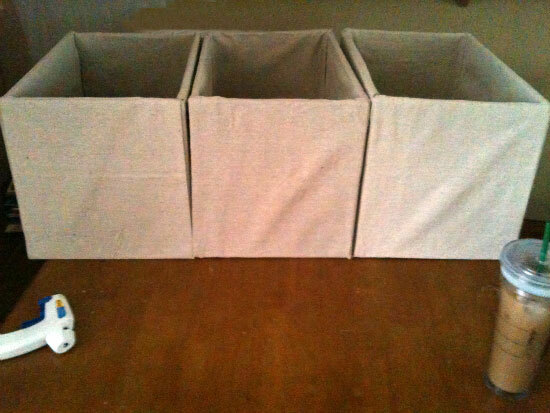 I was looking on Pinterest and found many bins made out of diaper boxes. Boom, I was inspired! I wanted them to be sturdier than plastic or cardboard since my kids can be rough on things, so I decided to make them myself. I used plywood, canvas drop cloths and decorative fabric. I loved using the wood, as they have kept up strong and will for many years I am sure. 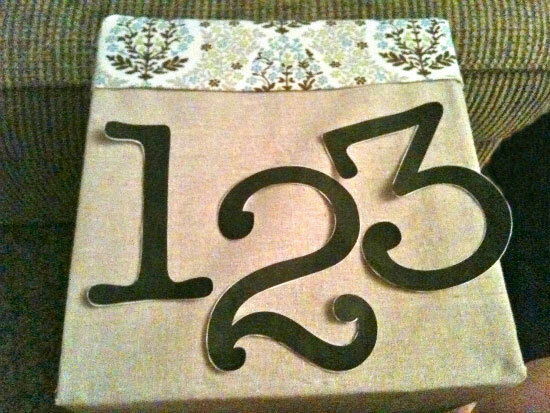 The canvas makes them casual enough to blend in with our home style, and the fabric trim and painted numbers make them unique to our home and a little more cozy! I have changed out what I put in the bins as my kids grow and my living room changes. It is so easy to just throw things into them and to pick up quickly. It was completely worth the DIY work. It cost me under $35 to make these and that probably saved me at least $100 if I could have even found wooden storage boxes out there anywhere. Here is how Leigh crafted herself some fantastic storage. 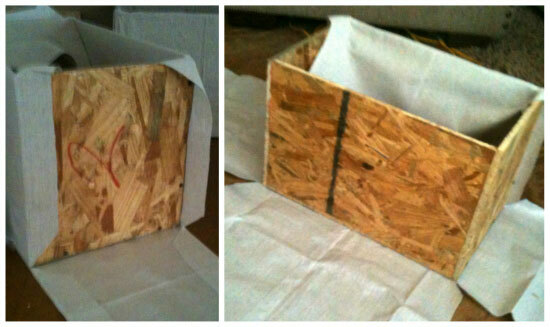 "I bought one sheet of plywood for $6.50 and then cut it into the sizes I needed to make the boxes. I made mine 12x18x12. I wanted to use the nail gun because the board I bought was thinner than I thought, but since it was night time and the kids were sleeping, I used my drill and screws. It took a little more patience but got the job done. If you are more patient than I am, I suggest using skinny nails. Once the boxes were assembled, they were ready for the fabric. I bought three canvas drop cloths from Home Depot, they were 5x5 and a perfect size. I cut squares of the corners, stopping a couple of inches from each corner. Then, I cut a slit into each corner. I did this so I could fold them over and the edges wouldn't show. This was super easy, especially with hot glue. I did this with all four sides on each box. I decided not to cut the extra canvas off and just stapled it down on the inside of each box. I got some fabric on sale at JoAnn's for $8 to trim the top of the boxes. I ironed the edges back and then just eyed how far down I wanted it, and glued. I did fold it over into the box for a complete look. For me, I wasn't going for perfection, I just wanted cute boxes and a cute look. I eyed it and it worked out pretty well. I printed large numbers in a font I liked and cut them out to use as stencils. I traced on number on the front of each box, then I painted them a blue turquoise color. I just used $1 acrylic paint that I already had. They are on the heavy side, which I like so the kids don't play with them, and I really like that they are durable. I may even ad handles to them someday." Finding bins that are the exact size you need, can be extremely time consuming and a losing battle. 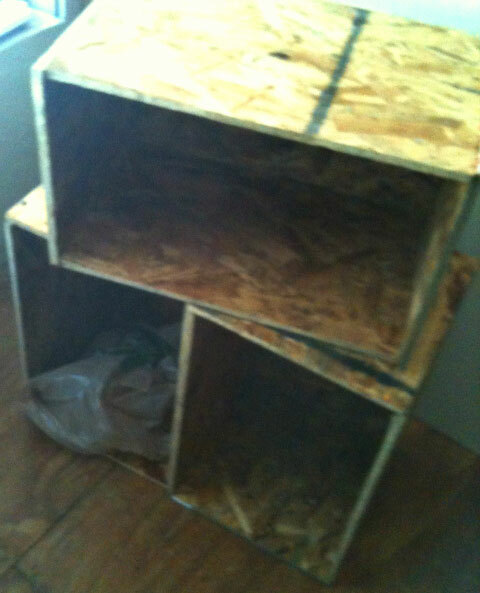 By building the bins she was able to customize the dimensions of the storage to fit her needs. By using drop cloths, the bins will remain very durable for years to come. They also add a warm texture and are versatile enough to be used in many spaces. The added trim around the top really took the boxes to the next level, so pretty! She saved moolah on labels by tracing and painting her own. Anything handmade has more value and meaning than items that are purchased. She built these herself, no husband required! That inspires me to pick up a nailer and a drill! Creating your own storage not only gives you a custom piece, but often times saves you money as well, always a win win situation! 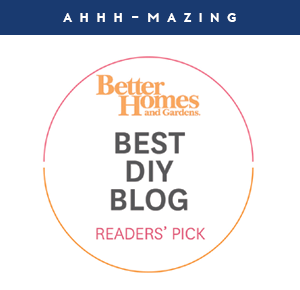 Thanks so much Leigh for letting me share this super inspiring DIY storage solution! You can find more details on Leigh's blog here. Anyone else been creating custom storage, to get exactly what you want or to save some cash? Or both? How did it go? 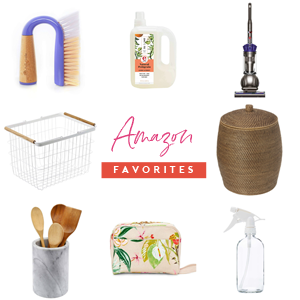 Tell me your storage building stories! Great looking sturdy bins that will take a pounding from little kids? Sounds perfect! Way to think "outside the box" with the drop cloths - must have saved a ton of money. What great ideal! Love it. I can't wait to get started, I have been looking for a inexpensive solution! I love the file labels, I am always cutting little pieces of paper! My favorite strategy is to have different colors for different categories! This is awesome. Well done. I never would have guessed to use a drop cloth. Wow. What a great idea. Been looking for that 'perfect' storage... maybe this is the answer! Thanks for sharing!! What a neat idea. I really like how sturdy these are. My son AKA " destructo" could probably tear apart a diaper box in less than 5 :) This is definitely a great alternative and you can customize the size which is such a great advantage. Thank to Jen and Leigh for sharing. I love those boxes! 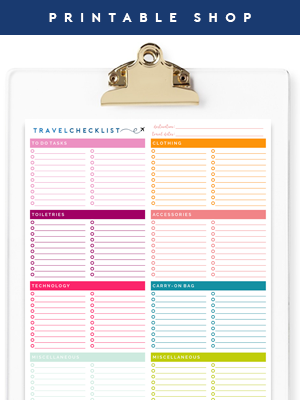 Pretty and practical. They would look great with rope handles, too! I really like this idea! Very creative and easy to make :) The only concern I have is the weight of the box. Is it really heavy? Too heavy for kids to handle b/c its solid wood? I like the look and practicality! Leigh's got the right idea. Using those storage boxes is a great and easy way to keep all of her kid's belongings organized and easily changed as they grow. I use the same type of storage boxes in my kid's closets. Not so sure about the wood and its safety or durability, but the idea is there and everyone can figure out their own materials to use. Thanks for another great DIY idea/project!